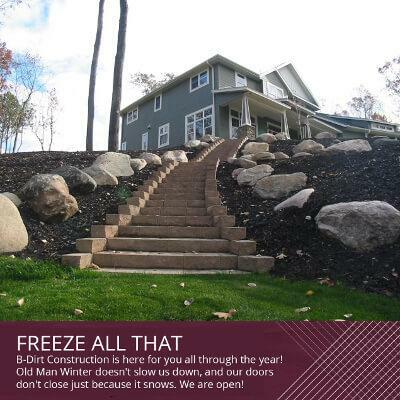 B-Dirt Construction, Brainerd construction and general contractor, is here for you all through the year! Old Man Winter doesn't slow us down, and our doors don't close just because it snows. This is the season for planning! B-Dirt Construction is open for business and busy working through plans and ideas for our customers. Our CAD 3D software helps bring your visions to life, and there is much work to be done before the first board is laid. Don't be chilled by the deep freeze, stay warm with dreams of fireplaces to come. 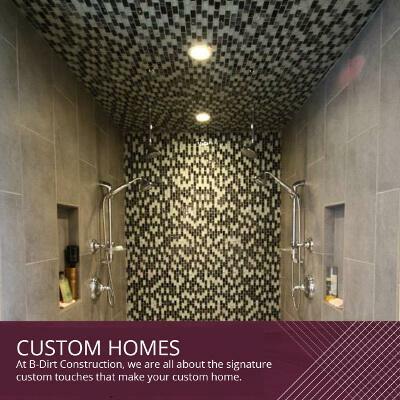 Contact B-Dirt Construction today to set up your free consultation (218) 821-5243. 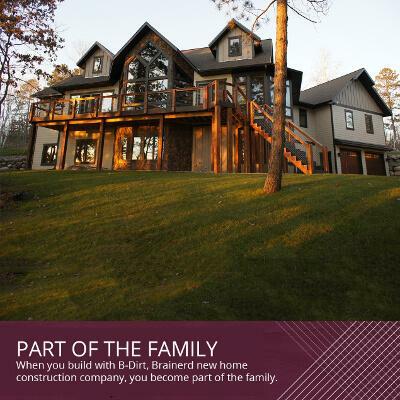 When you build with B-Dirt Construction, Brainerd new home construction company, you become part of the family. B-Dirt Construction is made up of many families with skilled employees in a variety of trades, including our own cement crew. Let's face it, building a new home, especially if it's your first time, can be a daunting experience! That's why B-Dirt Construction is with you every step of the way. 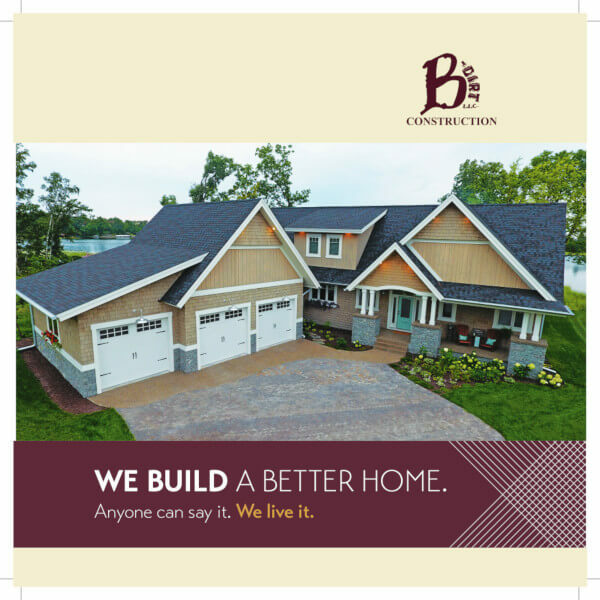 From your first free consultation, to working with our CAD 3D software watching your dream come to life, to weekly progress reports throughout your build, B-Dirt Construction keeps you informed and in the loop. 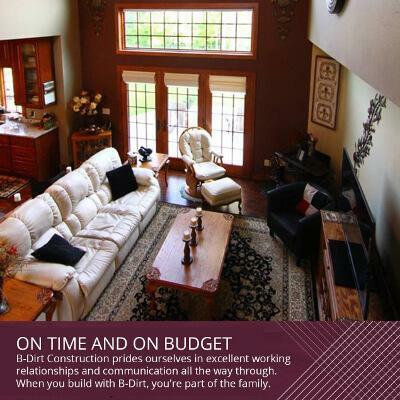 Best of all, B-Dirt Construction will get your project completed on time and on budget. 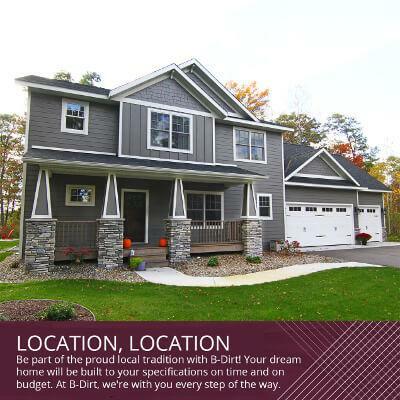 Discover what a dream building your dream home can be with B-Dirt Construction! Call (218) 821-5243 today for your free consultation. We look forward to meeting you! More and more, people are looking to local businesses to support their communities. 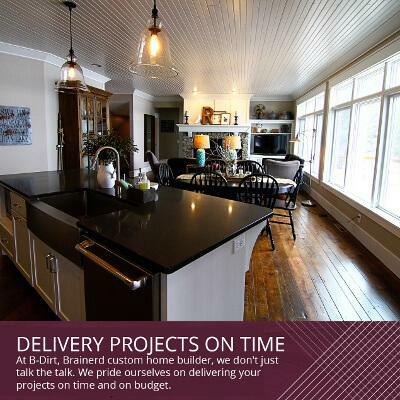 B-Dirt Construction, Brainerd custom home builder, is thrilled to be among the finest local businesses for home building and general contracting. The location of your business can be as important as the location of your new dream home. B-Dirt Construction is a proud member of the Mid-Minnesota Builders Association, and serves Brainerd, Baxter, Crosslake, Walker, and all surrounding areas. 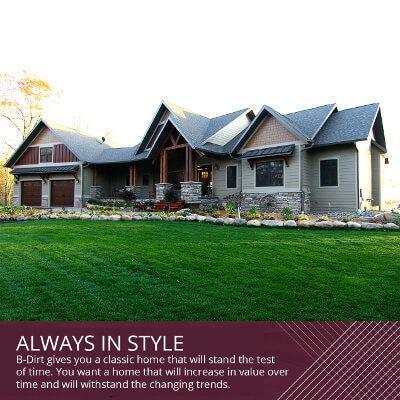 Be part of the proud local tradition with B-Dirt Construction! Your dream home will be built to your specifications on time and on budget. At B-Dirt Construction, we're with you every step of the way. Call today for your free consultation: (218)821-5243. Your dreams await with B-Dirt Construction! 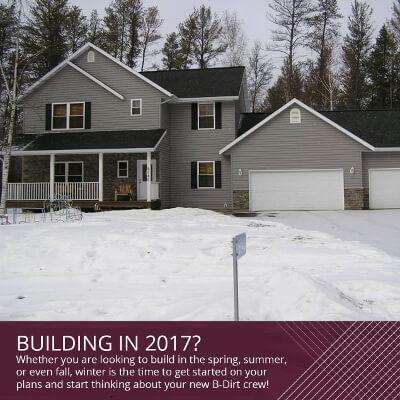 B-Dirt Construction, Brainerd custom home builder, wants to remind you that NOW is the perfect time to start planning your 2017 build! What better way to spend the cold winter months than to plan your dream home? Call today to set up your free consultation (218) 821-5243 and start the process! Our unique 3D CAD software allows you to watch your plans unfold and make changes before the build even begins. You'll have plenty of time to decide which options best suit you and your family. Will you be doing a lot of entertaining? Prefer a one- or two-story plan? What is your budget? Would you like to add a sunroom or living space above the garage? All these things and more can be decided now, before your new build. 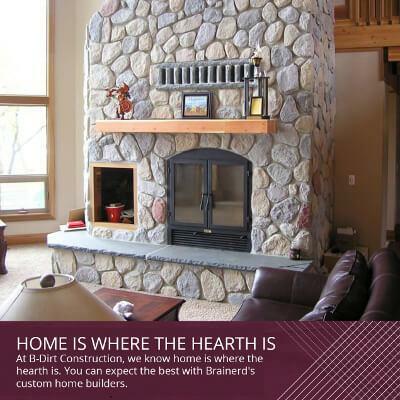 When it's time to choose, choose the Brainerd general contractor you can trust: B-Dirt Construction! B-Dirt Construction will get your plans completed on time and on budget. 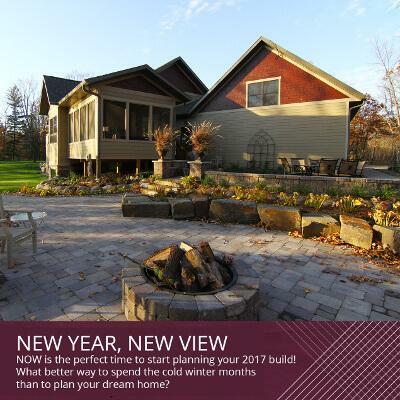 Let the new year bring a new view with your dream home from B-Dirt Construction!